"Some luck lies in not getting what you thought you wanted but getting what you have, which once you have got it you may be smart enough to see is what you would have wanted had you known. "All of us have bad luck and good luck. The man who persists through the bad luck - who keeps right on going - is the man who is there when the good luck comes - and is ready to receive it." " I've found that luck is quite predictable. If you want more luck, take more chances. Be more active. Show up more often. "If you're in a bad situation, don't worry it'll change. If you're in a good situation, don't worry it'll change. "The moral law of the universe is progress. Every generation that passes idly over the earth without adding to that progress remains uninscribed upon the register of humanity, and the succeeding generation tramples its ashes as dust." "Learn to trade minds with other people. Always try to see through the eyes of the other person. What motivates them? What are they thinking about? What do they want? What would the other person think about what I am going to say or do? How would they react?" "You can make more friends in two months by becoming interested in other people than you can in two years by getting other people interested in you." "Rapport reverses a strict law of physics: Instead of opposites attracting, like attracts like. Welcome to the March 2014 edition of Insights. I hope you will find this month's selection of articles interesting and thought-provoking, and that you will take from these words at least one thought or idea that you can use to bring about a positive change in some aspect of your personal or professional life. A blind man was sitting in a park with a cardboard box at his feet and holding a sign which said: "I am blind, please help." He had been there almost two hours, but there were only a few coins in the box. A man walked by, took some coins from his pocket and dropped them into the box. He noticed how few coins there in the box and said to the blind man: "I know a little about marketing, do you mind if I change your sign a bit?" The blind man said "not at all." Then the passerby took the sign, turned it around, wrote a few words on the back, and returned it to the blind man saying "try this." Before the blind man could even ask what the sign now said, the man was gone. Soon the box began to fill up. A lot more people were giving money to the blind man. Not only were there many more coins, but there were also many bills of which there were none before the wording change. He also noticed that several of the donators actually spoke with him, conveying positive, uplifting messages, whereas none did previously. By afternoon the money kept rolling in, and the blind man's curiosity was getting the best of him. As yet another person put some money in his box, he appealed to the person saying, "I know this may sound silly to you, but a few hours ago a man changed the wording of my sign and he left before I could find out what he had written. Would you please tell me what the sign I am holding says?" A lady replied, "It says 'Today is a beautiful day and I cannot see it.' "
The reason for the different responses to the two signs has to do with the subconscious message each communicated. Of course both signs conveyed the idea that the man was blind, but the first sign simply asked for a donation by trying to get people to feel sorry for the blind man. The second sign didn't even ask for a donation. Rather, it connected powerfully with people's emotions, making them realize how fortunate they were that they could see the beautiful day, thereby inspiring them to donate to the blind man. I think there are two points to this little story. The first is that people are generally more motivated to act when their emotions are triggered in a positive way than they are in response to a more negative approach. The second is that it's important for each of us to reflect from time to time on how lucky we are and how thankful we should be for what we have. When life gives you 100 reasons to cry, show life that you have 1000 reasons to smile. Face your past without regret. Handle your present with confidence. Prepare for the future without fear. If you know of anyone who you think might also be interested in receiving Insights, please forward this issue on. As always, I would be very interested in receiving your feedback. It's interesting to consider the different ways that people view the concept of "luck." Some believe that luck, whether good or bad, has simply to do with random chance happenings that occur throughout our lives. They see luck as resulting from being in the right place at the right time. Others maintain that luck is predetermined by mystical forces that influence the outcomes we experience, implying that fate or karma plays a role in the luck we experience. Either way, luck is often cited as the predominant factor responsible for a person's success or failure, suggesting that an individual's particular set of circumstances is more the result of chances occurrences outside of a person's control than the direct impact of one's own actions. Still, others feel there's really no such thing as luck; rather, that good fortune is merely a byproduct of one's hard work and determination. Certainly things happen to each of us all the time that appear to come clear out of the blue. We all experience misfortunes as well as happy surprises that we had no role or responsibility in creating. Finding a hundred dollar bill on a sidewalk or having a car dented accidentally in a mall parking lot are events that are random and difficult, if not impossible, to cause or anticipate. Such instances are pure chance occurrences that either benefit us or harm us without any connection to our plans or intentions. Max Gunther in his book The Luck Factor defines luck as "events that influence our life and are seemingly beyond our control." At first glance, it might look like there is truth to this idea. After all, some people's lives overflow with abundance, vitality, successful careers, and loving relationships seemingly without obvious intentional effort. Luck, however, is more than just a chance event, whether mystical or accidental. Webster's Dictionary defines luck as "a force that brings good fortune or adversity; a force that operates for or against an individual." So, if luck is a force, why shouldn't we be able to tap into it? For centuries, people have tried to do just that. Those who believe in the luck force have tried in various ways to harness that force by summoning the luck power of various objects and rituals. The practice of knocking on wood, for example, is thought to date back to pagan rituals aimed at eliciting help from powerful tree gods. We still do it today though few, if any, of us worship tree gods. 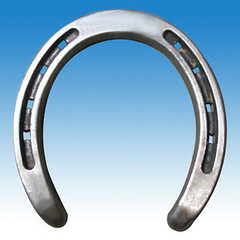 It is well known that many so-called "lucky people" carry a "lucky charm" of some sort such as a horseshoe or a four leaf clover. Franklin Roosevelt carried a rabbit's foot in his pocket for many years; Napoleon carried a lucky coin; Michael Jordan, the famous Chicago Bulls basketball star, spent his entire NBA career wearing his old University of North Carolina shorts under his team shorts for good luck. While the words "luck" and "chance" are closely related and are often used interchangeably, it is important to recognize that they are not the same thing. A chance event is basically an unexpected random occurrence of some kind while luck has to do with the kind of impact such an occurrence has on us. Chance events in themselves do not generate luck, but rather provide the opportunity for luck, good or bad, to happen. Luck, then is the effect of chance on our lives. Whether and how such an event affects us is largely determined by our own attitudes and behaviour. We may have little or no control over the elements of chance, but we can have a great deal of control over how we deal with them, and how we deal with them shapes our luck. We are continually confronted by pure chance events through our interaction with the people, things and situations we encounter in the course of our daily lives, but we ignore most of them either because we don't perceive them to have any significance for us or we don't recognize them in the first place. It is only when a chance occurrence, either good or bad, has a significant impact on us that it gets our attention, thereby causing us to acknowledge it and respond in some manner. Meanwhile, because most of the chance events that pass through the sphere of our lives go unnoticed by us, we may be missing out on a multitude of opportunities for good luck simply because we never devote the time or effort to really become aware of them. For some people, it's a comforting thought that success may be due to luck. It means that they do not have to do anything more than just carry on and hope that luck (like winning the lottery) might make them successful. It can be satisfying to feel that successful people really aren't much different than they are except that they're just luckier. This reflects a passive approach to luck; just hoping and waiting for something good to happen. A proactive approach toward luck is when we put ourselves in a position to recognize and take advantage of potential luck opportunities when they come by. It means that we are not only ready to spot such opportunities, but that we can intentionally generate them. This attitude acknowledges that we can make our own luck by focusing on key elements such as knowledge, skills, strategy, style and persistence. It's less about what happens to us and more about what we make happen out of each opportunity. If we take a passive view on luck, success may happen to fall our way, but if we take a proactive view on luck, we can increase our ability to generate good luck and take advantage of opportunities as they occur. We will so increase our effectiveness in handling negative situations that may arise. We can improve our luck by making ourselves more ready for the chances of life that come to us. According to the Roman senator and philosopher Seneca, "Luck is what happens when preparation meets opportunity." While being in the right place at the right time can be an important contributor to luck, most people find themselves in such a position because of design rather than by accident. They get what appears to be the big break, but in reality they worked hard planning and following their hearts to get to where the big breaks come. When we are prepared, things go our way more often. When we are not, things can fall apart. A major key for having more good luck is to develop the skills, self-awareness and attitudes that prepare us to recognize and take advantage of an opportunity when it arises. Someone who by chance encounters a career opportunity for which he or she is well qualified is truly lucky, but another person who is not qualified and is faced with the same opportunity is anything but lucky. That person might even be described as being unlucky, but that person is not unlucky because something bad happened, but rather because something potentially good happened that the person was not prepared for. Most successful people come to understand over time that the harder they work, the luckier they get. They view "good luck" as the direct result of consistent, organized, enthusiastic preparation and effort. Our beliefs about luck can really shape our chances for success. Luck has got more to do with probability than anything else. Probability relates to the likelihood or odds of something happening. The more we can increase the probability that we will encounter potential luck-generating events, the more likely we are to actually experience good luck. The more curious we are, for example, the more situations we may able to create from which luck may emerge. Open your eyes, look around, ask questions and put in that extra efffort. Assume nothing! Curiosity will lead you down roads that you might not otherwise have traveled. You just never know what you might bump into, what opportunity might present itself, or what positive change you will affect through your creative and curious mind. Two of the best ways to "be lucky" are to be willing to take calculated risks and to embrace unexpected opportunities. Try new things. Go to new places. Change your routine. Don't just do the things for which you know the eventual outcome. Stretch yourself. Go outside your comfort zone. Open Your Mind. Consider chance opportunities. Lucky people regularly have them; unlucky people don't. Expand your personal network so that you will have more support and resources to help you thrive in more situations. Even though winning a lottery may be an incredibly remote probability, purchasing a ticket can dramatically improve your chances of winning. There is a powerful correlation between persistence and luck. Jack Canfield and Mark Victor Hansen are the authors of the best-selling book series, Chicken Soup for the Soul. You could say that they were pretty lucky to have become so successful with their literary idea. The fact is that they approached over 130 publishers over a two-year period before a struggling publisher agreed to publish their book. Similarly, Thomas Edison had over 10,000 failed attempts to create the light bulb before he finally got lucky. Luck needs time to evolve. Attempting something for only a short time usually does not generate a lucky outcome. Persistence is closely connected to preparation and probability. The more we attempt to do something, the better we usually become at doing it. We learn from our experiences. Furthermore, the more times we attempt something, the greater becomes the probability we will succeed. As in baseball, the more times a player comes to bat, the more likely he or she is to get a hit. No matter how you view luck as an element of success, it's up to you to seize that moment to control your future,. No one else can do it for you. How lucky are you? Unless we are facing a very unpleasant circumstance, most of us usually don't look forward to change. Changing can be an uncomfortable process because it requires replacing old behaviors and attitudes with which a person has become accustomed and comfortable with new and different ones which at least initially, can cause some discomfort and anxiety. Staying the same is easy. It's like a favorite pair of old shoes. Doing things the same way they've always been done doesn't require much thought. Like throwing on the old shoes, you don't even think about it. It's just what you do. In addition to fearing change, people may also genuinely come to believe (usually on a subconscious level) that what they've been doing in a particular way for some time must be a good way to do things, and the longer they've been doing things in that way, the more they will be inclined to believe it. So change isn't simply about embracing something unknown, it's about giving up something old and, therefore, good for something new and, therefore, potentially not so good. As we get older as people and organizations, we acquire a tendency to want to cling to the old and familiar and avoid what is new and unfamiliar. We tend to develop an attitude of wanting to maintain the status quo. In both business and in life, we're usually more comfortable with the familiar, even if the familiar isn't getting us the results we want. As a result, we are often resistant to change, and fail to recognize and appreciate the fact that change itself is constant in our lives. Most situations in our lives will change, and even what is working today will likely change before long. If we're not prepared for and accepting of the change, we will be left behind to experience the negative impacts change can have on us when we are not ready to accept and embrace it. Furthermore, we all have things in our lives we'd like to improve such as finances, job, partner, house, etc., and we all know that nothing will improve by itself. We need to do things differently to make that happen. Without change, there'd be no improvements. As the saying goes, nothing changes until something changes. Even if we resist or avoid it, change will enter our lives just the same. If we hold fast, we are likely to fail because the world is always changing, and if we don't change with it we can be left behind. We can either be passive about it and allow change to affect us or we can be proactive and drive change for our benefit. The choice is ours. When we initiate change ourselves, it's much easier to adopt since it's a change we want. To climb a ladder, a person must continually place one hand over the other. So in life, we succeed not by hanging on dearly and perhaps, fearfully, but by reaching out, taking on new mental and emotional hand holds and accepting, welcoming, and adapting to new and better ideas. This applies to just about anything from raising children to succeeding at in a job or business. To have something better, we have to stop clinging to the present and allow ourselves the opportunity to grasp onto something better. This doesn't mean totally letting go of or abandoning what is working, but rather not clinging so tightly or fearfully that we do not allow natural change to enter our lives. If we try to cling too tightly to our present circumstances, we many not only lose them (as life changes), we may also exclude the possibility of greater success and happiness entering our lives. What am I currently doing or how am I currently behaving that is likely to soon become obsolete? Am I in a rut that I should climb out of before it's too late? 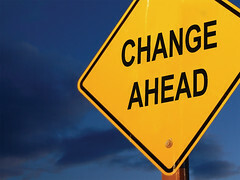 In what areas of my personal and professional life should I expect significant change to happen? What significant imminent changes am I avoiding? What are the benefits of my accepting and embracing potential change in keys areas of my life? What would be the consequences of my not effectively accepting and embracing potential change in these areas? Everything in our lives is subject to unexpected change, and truly wise people are those who expect, plan for and look forward to changes in every aspect of their lives. They know that in order to climb upward it is necessary to let go with one hand in order to place it above the other and understand that a person can't get to second base if the or she insists on keeping one foot on first. You have got to let go to grow! People often associate the topic of persuasion primarily with the concept of selling, but the importance of effective persuasion skills really pertains to every one of us regardless of our individual vocation. Every day each of us is involved to some degree in influencing the thoughts and actions of others. In fact, the path to success in life lies to a very large extent in gaining the cooperation of others. In this edition of Insights, we continue with our ongoing segment dedicated to the topic of persuasion. Whether you are selling something, supervising others, presenting an idea or managing a conflict, a major factor in your success has to do with how effectively you establish rapport with another person. Rapport is an emotional bond or friendly connection between people based on mutual liking, trust, and a sense that they understand and share each other's concerns, values, and view of the world. It is a perceived affinity between two or more people. Rapport is one of the most important features of subconscious human interaction and is characterized by a sense of harmony, comfort and cooperation. The essence of rapport is liking another person. Other descriptions of rapport include being in synch, being on the same wavelength and having a common perspective. When you have rapport with another, it is much easier to influence his or her thoughts and actions. It increases others' receptivity to you. It is the glue that binds all successful relationships and is the very cornerstone of human relations. Rapport is the magnet that draws people together to create friendships. It is the charisma a great leader creates with followers and it is the unseen connection that helps win and keep clients. This is why rapport is a foundational element of interpersonal effectiveness. It is the critical first step. Furthermore, relationships that involve high levels of rapport tend to minimize doubts, worries and fears about one's behavior and performance. Leadership, performance excellence and full self-expression are allowed to flourish in an environment rich in rapport. Rapport generally develops over time, but we may occasionally hear the term "instant rapport" used. When used in this fashion, the words describe rapport that seems to be immediately present or very quickly established in a relationship. This can happen when some positive messages are very quickly transmitted during a personal interaction. It usually results from the exchange of visual messages such as a person' appearance (being fashionably dressed for example), body language such as a warm smile or a physical action (e.g., presentation of a gift). Another important factor in instant rapport can be the sound of a person's voice. Rapport is often described as resulting from situations where people are interacting with others who are like themselves. Clearly, we have a natural tendency to gravitate toward people who like the same things we do and who interact with others in the same manner we prefer to interact. While it is often said that "opposites attract," such attraction is usually based on curiosity and fascination, and is fleeting. It is similarity in thought and action that plays an important role in connecting people to one another. The degree to which rapport exists within a relationship is determined, as with interpersonal effectiveness in general, primarily by how people communicate with each other. Humans communicate in many different ways, i.e., with words, by vocal quality, through body language, by listening and through actions. It is the skill with which people use these communication vehicles to make others feel comfortable in their personal interactions with them that determines their rapport-building capacity. Display body language that conveys openness and agreeableness. A smile, relaxed posture and a friendly vocal tone will go a long way toward minimizing defensiveness in others and making them more receptive to you. In his classic book How to Read a Person Like a Book, Gerard Nierenberg explains that that value of gestures such as open hands, uncrossed arms, an unbuttoned jacket along with an occasional subtle physical movement toward another conveys a feeling of "I am with you; things are going well." Listen actively to other people. Make a sincere effort to absorb what another person is saying and feeling, and demonstrate through appropriate vocal and physical expressions that this is the case. Be curious and demonstrate concern for others. Drawing people out by asking about their feelings and opinions relating to the issues at hand and responding in a genuine, thoughtful manner will show that you sincerely care about them and value them. Exhibit respect for others at all times, especially in difficult or touchy situations. Thank others for their comments and suggestions even when you do not completely agree with them. Accept compliments graciously, and seek opportunities to offer sincere compliments to others. Demonstrate personal interest in others. Do not routinely pry into personal matters that are not relevant to the central focus of a discussion, but do be open to gaining a better general awareness of others' personal general interests. Look for opportunities to inquire about peoples' personal interests, aspirations and likes and dislikes. Demonstrating a personal interest in another indicates a desire to know more about him or her which connotes liking. Most everybody wants to be liked, and anything you can say or do to help or support someone personally will assist you in developing rapport. FEEL YOU ARE LIKE THEM. Putting others at ease, valuing and appreciating them, and showing them they are liked are key factors in developing rapport, but the clincher is getting others to feel you have similar interests to theirs. People tend to trust, like and feel comfortable with other people they feel are like them. People with common interests have natural rapport. Some of the reasons we get along so well with our close friends is that we have similar likes, pursuits and perhaps, even opinions. Additionally, our vocal quality (speed, pitch, rhythm, volume and tone), gestures and body language often demonstrate similar characteristics as theirs. This doesn't mean that we have to be just like another person to be able to establish rapport with them. It doesn't mean that we need to make dramatic personality changes in ourselves or artificially adjust our approach in order to manipulate others for our purposes. Rather, it means that if we try to tailor our communication strategies to match other people's preferred personal interaction behaviors as closely as we can, we can make others more comfortable interacting with us, thereby increasing our interpersonal effectiveness. Ask us a question about persuasiveness.